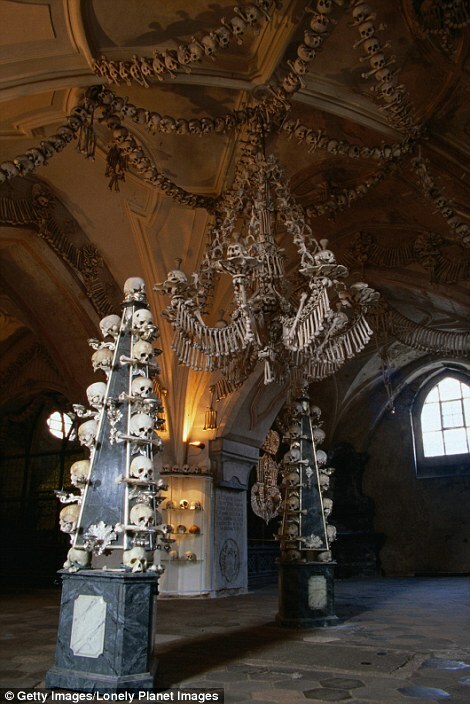 Gothic architecture is often perceived as strange or even macabre. 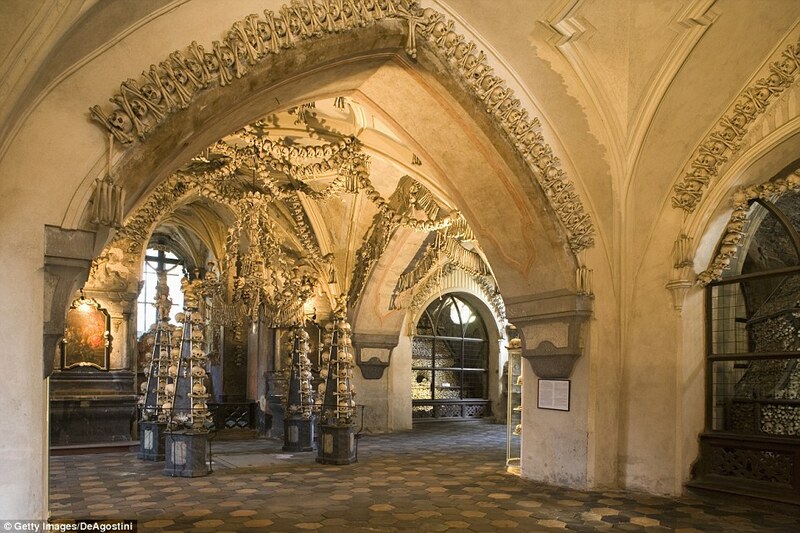 However, one of the Gothic Czech chapels located in Kutna Hora is much more than a Gothic building. 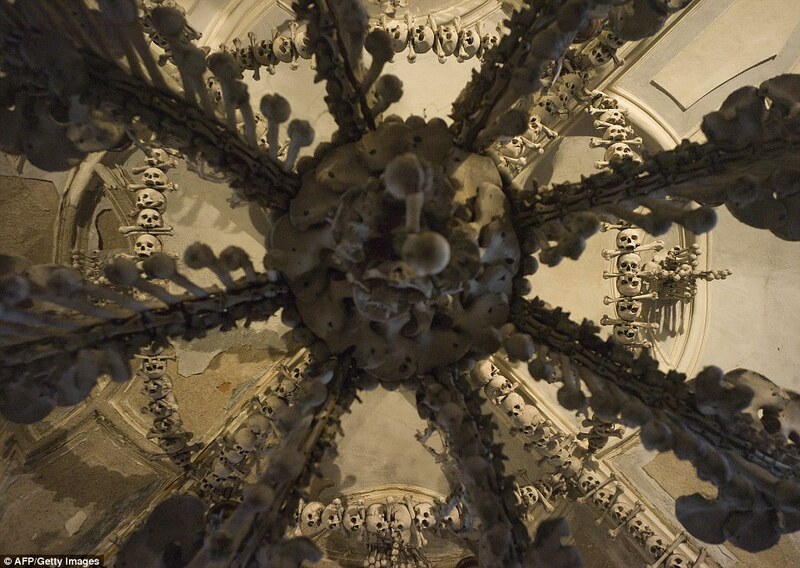 While its exterior look may not be as spectacular as others, the interior of the Sedlec Ossuary can leave anybody breathless. 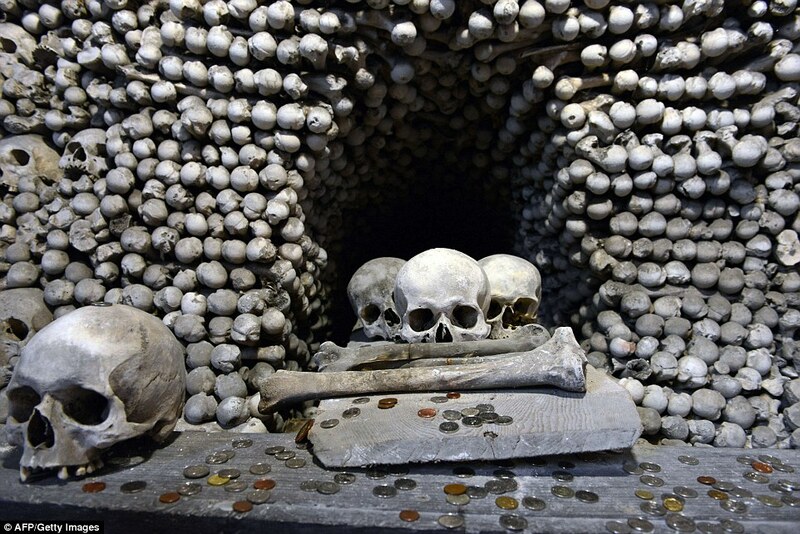 With an estimated amount of 70,000 human remains decorating the inside of the church, this is the second largest monument of this kind after the Paris Catacombs. 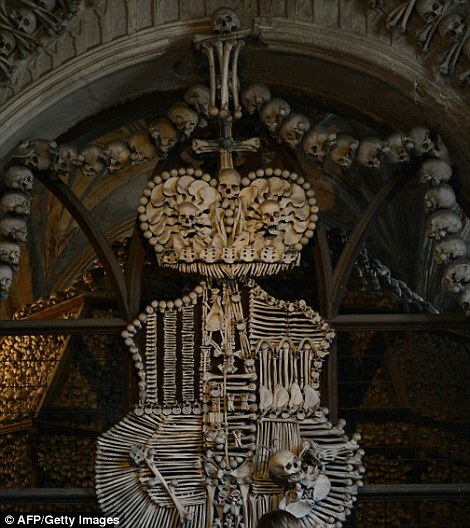 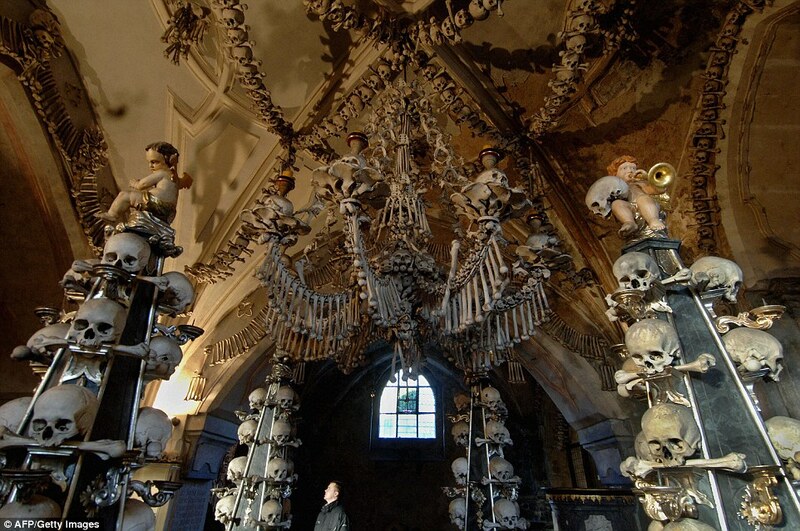 Aside from a massive chandelier made entirely of human bones and skulls, the so-called Bone Church has a history just as interesting as the building itself. 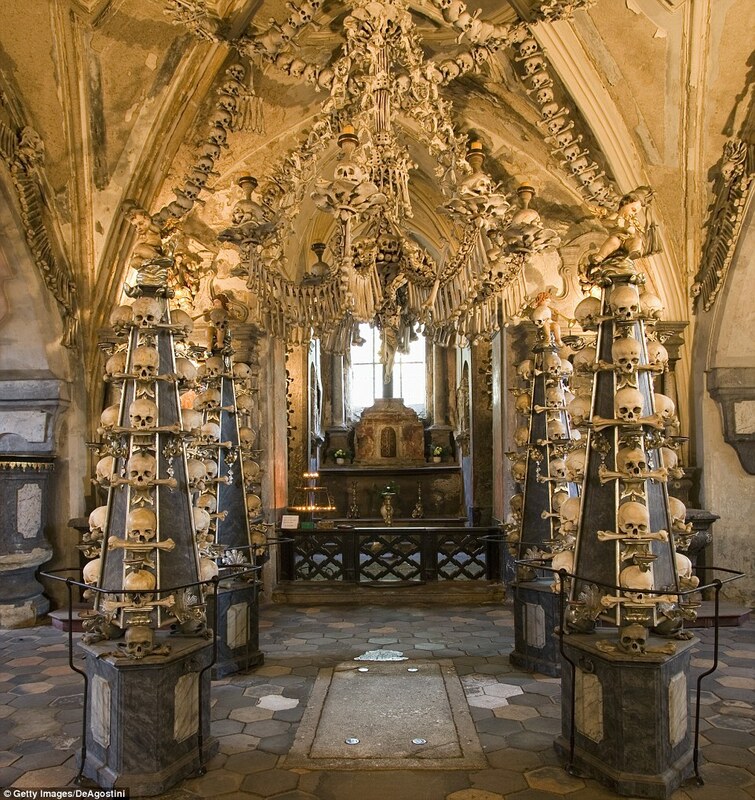 Back in 1278, a local priest was sent to Jerusalem by the King of Bohemia in order to bring a piece of the Holy land to his territory. 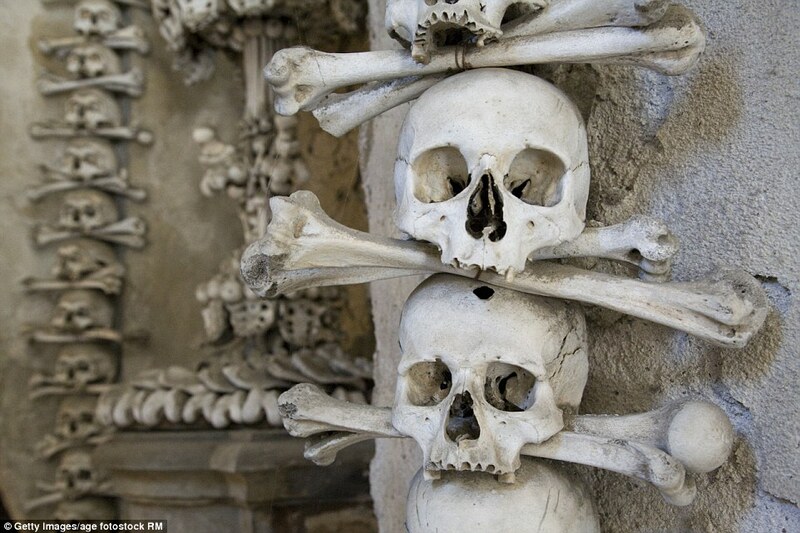 Once the “Holy Soil” was placed on a piece of local land, everybody wished to be buried there. 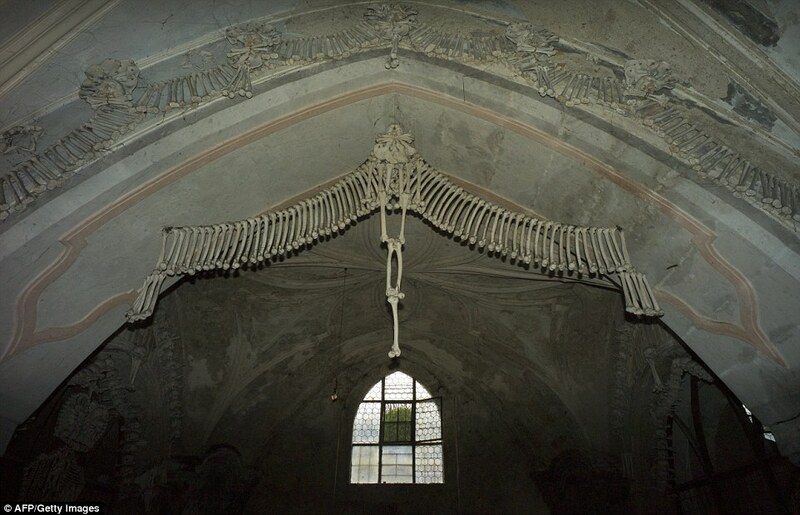 Two centuries later, locals built a church next to the former cemetery. 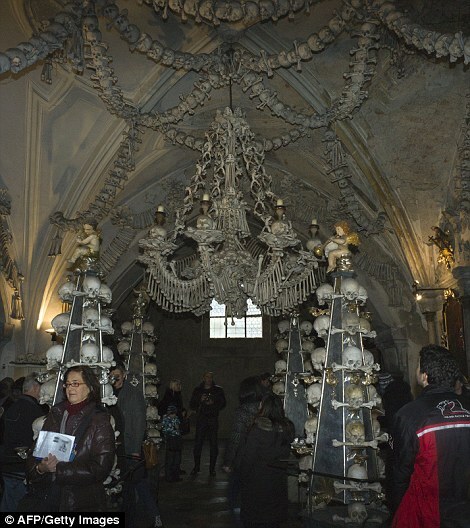 In the basement of the Gothic building were human remains. 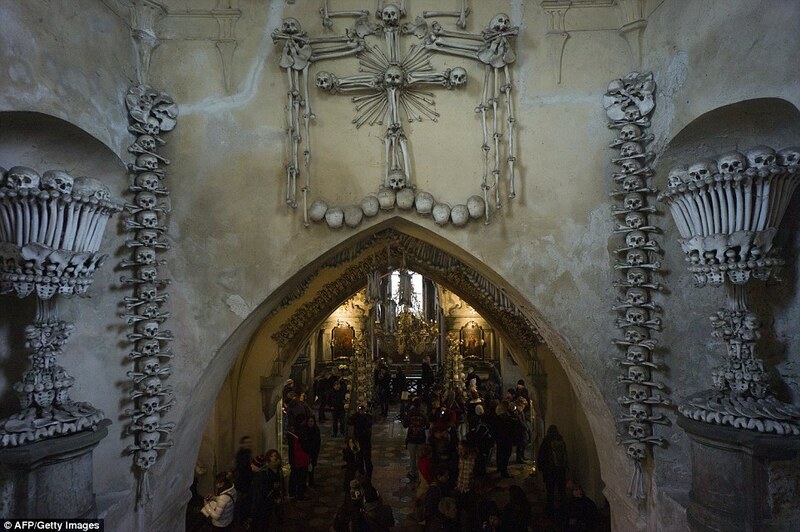 In 1870, Frantisek Rint, a local wood carver, was asked to renovate the Gothic church and to expose the human remains from the basement in an artistic way. 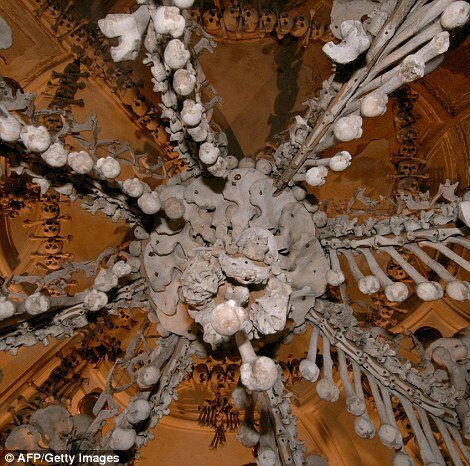 All of the bones were bleached and arranged all over the interior of the church. 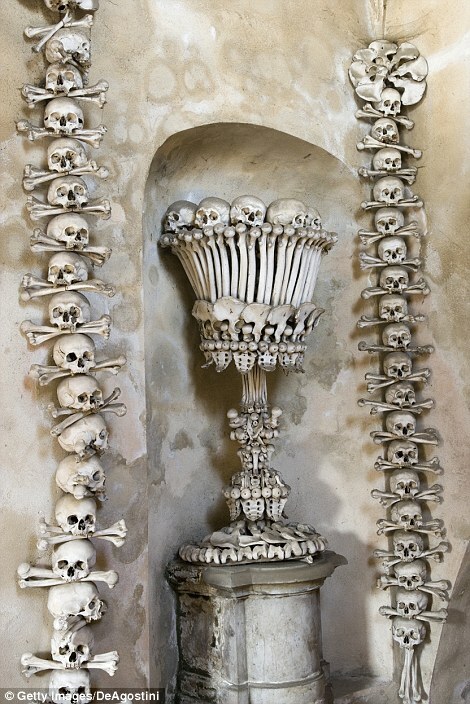 The final result was so impressive and unique that, to this day, the Sedlec Ossuary is a breathtaking objective to anybody visiting it. 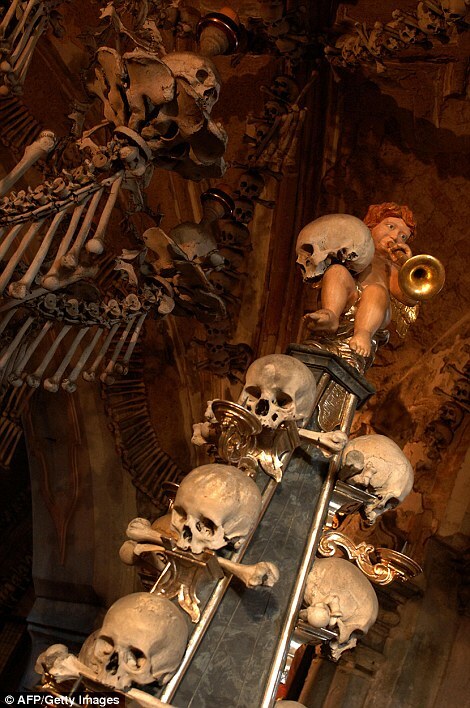 From chandeliers to walls and even pinnacles, the Bone Church is among the most fascinating European attractions.